Interdisciplinary theory, what could be a bett e r background for the sophomore Cacophoneuses release on HANDS? Sandra & Joséphine have taken some time to refine their techno vs. rhythm'n'noise, and the result is a heavy and dense, yet (still) ultimately club-friendly signature sound. 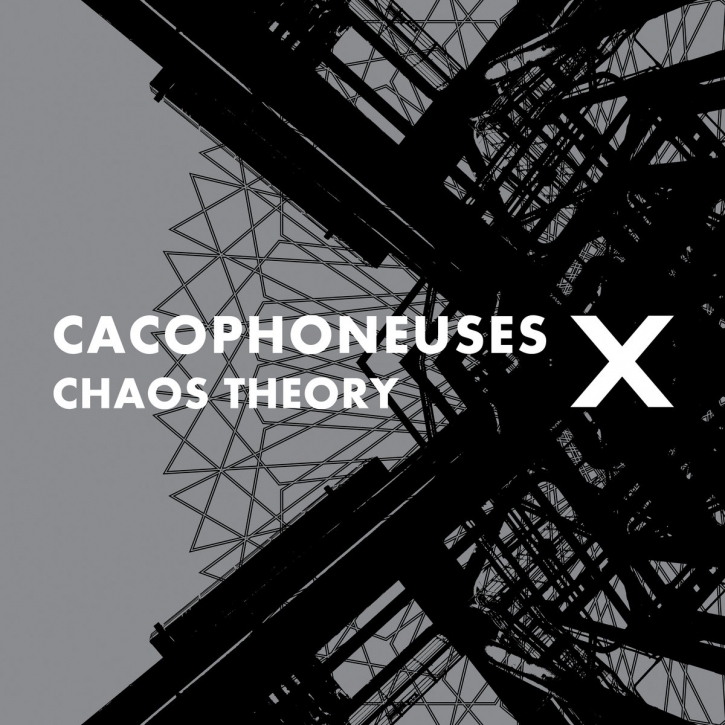 Chaos Theory is ten focused and intense tracks that also provide listening enjoyment as an album as they have a delicate thread running through them, linking them to a common, very tangible mood. Of course the storm starts with the flapping of butterflies wings  the album opener establishing the rhythmic framework of Chaos Theory proper. With one eye on the floor, Cacophoneuses provide spinal stimulation through captivating bass lines (Damage Control), ripples of feedback noise and hiss (No Boundaries) and the dominating force of the mighty kick drum. What sets these tracks apart from the generic is the attention to detail that went into the production of Chaos Theory, the amount of little cracks, noises, melodies that are stacked upon the basic compositions, thus holding the tension easily. Club sound and thoughtful depth, the physical and the cerebral, the Cacophoneuses manage to operate in seemingly different dimensions and present a very attractive synthesis, enjoyable and thought-provoking at the same time.